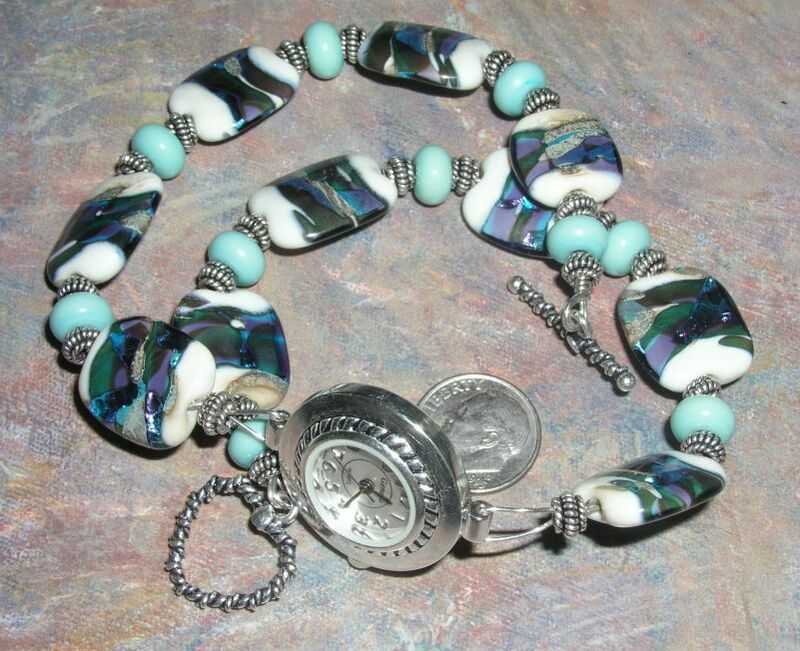 Length of bracelet is approximately 7 to 8 inches long. 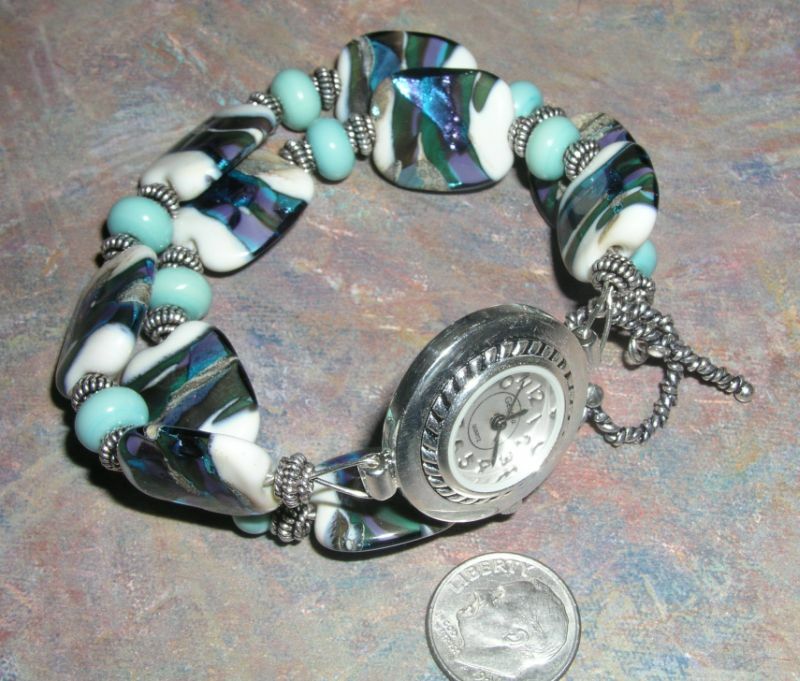 All components (findings) and silver beads are sterling silver with the exception of the timepiece. 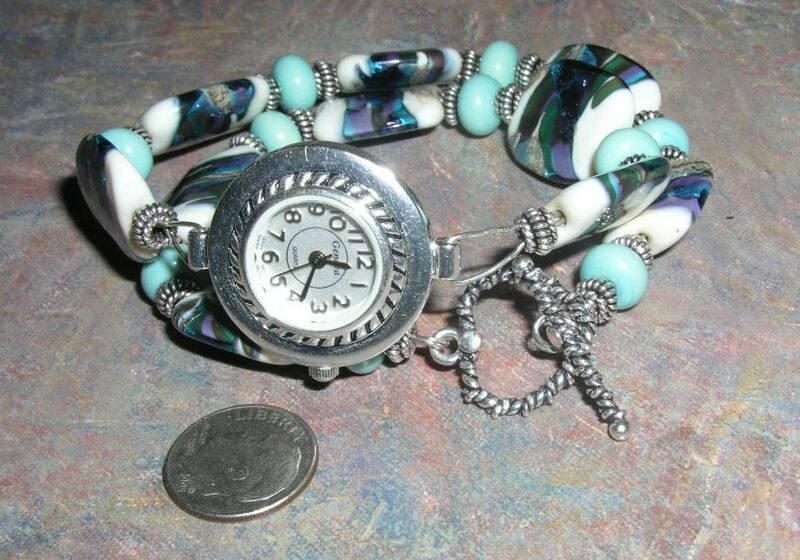 Beautiful Southwestern influence is evident in this bracelet watch. It's fun to wear and perfect for finishing your outfit. 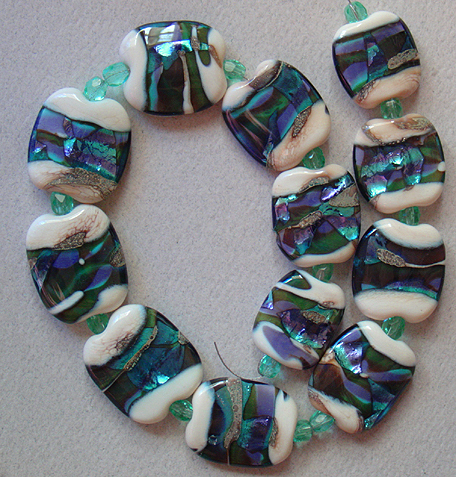 This is the glass artist's original picture of the beads used in this Bracelet.